Receptor estéreo. 2x 20W a 8 ohmios, 2x 30W a 4 ohmios. 2 entradas de línea estéreo. FM Receptor estereo tamaño MICRO. 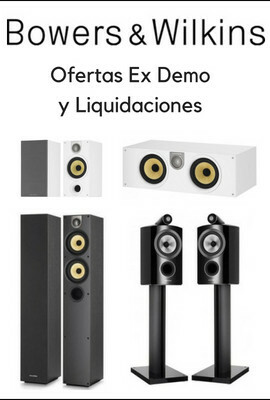 FM, 20Watios y 2 entradas línea. The Pro-ject Receiver Box is an incredibly compact FM tuner which does more than you'd expect. 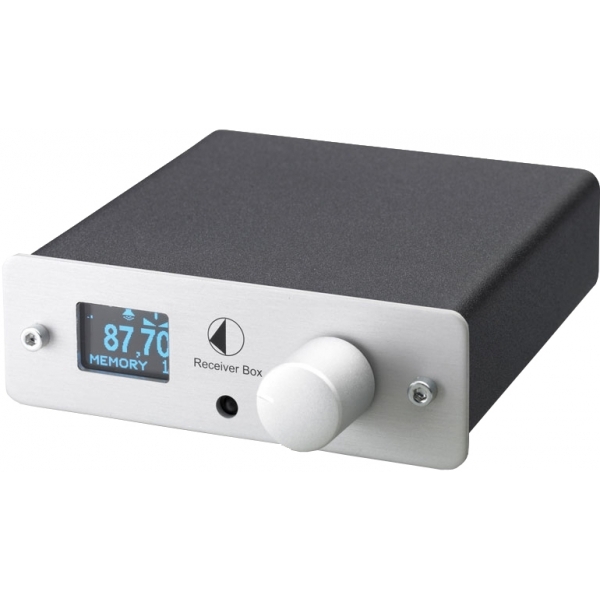 The single rotary control and minimalist remote are deceiving, because the Receiver Box packs in several useful features. It can be switched between manual and automatic tuning, can store 99 presets for quick recall of your favourite stations and can take inputs from other components. The on-board amplifier provides two channels of 20 watt power to your speakers. The Receiver Box's sturdy, anti-resonant, all-metal casework helps to prevent interference and looks great too. Size isn't everything, and this little box proves it. Finish: Black or silver fascia, all metal case and fascia.